eve Sleep, an innovative British start-up began supporting The Lullaby Trust in April 2017 as part of their belief that everybody deserves the perfect start. Supporting The Lullaby Trust with profits from the eve baby mattress, and through staff fundraising initiatives, eve is committed to helping parents give their babies the perfect start through championing The Lullaby Trust’s safer sleep for babies advice. The Lullaby Trust encourages all families to use a firm, flat mattress when sleeping their baby. We are delighted to be working with a company that is committed to safer sleep for babies as well as responsible corporate citizenship. The eve baby mattress is made in the UK of the highest quality materials. With pocket springs that provide the ultimate support and a super soft outer cover. The mattress comes in two sizes and is suitable from birth to six years. 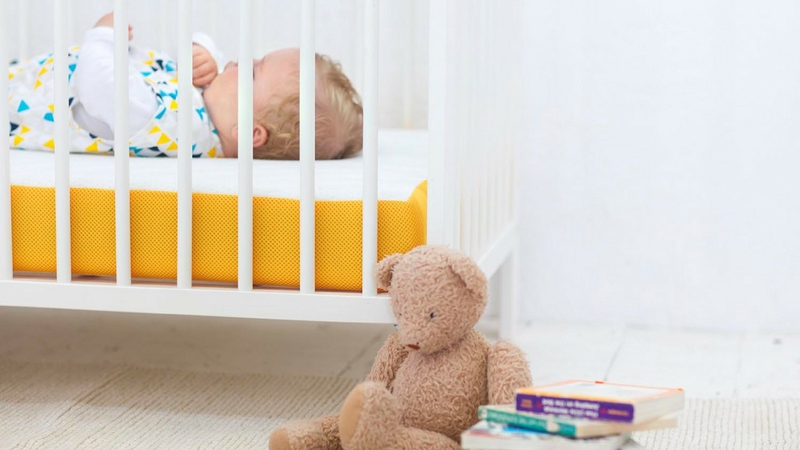 Removable cover that can be washed, anti-bacterial technology and a waterproof protector, in accordance with The Lullaby Trust recommendations for mattresses.